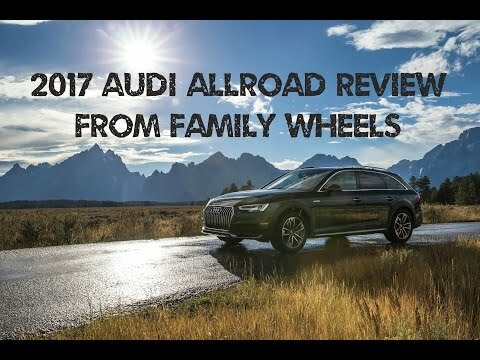 The 2017 Audi A4 Allroad marks the second generation of this upscale, all-wheel-drive wagon. The Allroad is based on the Audi A4 sedan, but its wagon design gives it SUV-like cargo versatility, while its standard all-wheel-drive system and bump in ground clearance make it suitable for driving in wintry conditions and for light off-roading. It is one of the best purchases I have ever bought. The car is really fast and I love it. The interior looks amazing and it looks like the perfect car for someone with money. Comfort is a 9. The seatbelt hurts sometimes. Reliability 10 has never broken down features car is really fast. And you can flex on kids:). The inside is so big and spacious. So much room. This car is so great in the snow and rain. I love it. No problems at all. The interior so wonderful. Rides so smooth. Very spacious. Gets good mileage. Good on gas. It's so reliable. The performance is great. Comfort is excellent. I would for buy this car again. My Audi is a comfortable, safe and well running vehicle. I've had engine issues twice and they were just simple problems easily solved. There is ample space and it is versatile and runs very well on the road.